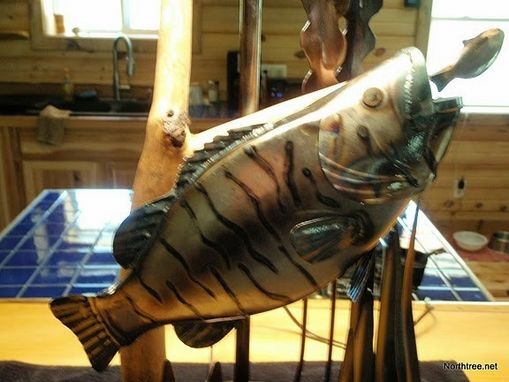 This is a one of a kind hand crafted Bass chasing minnow lamp by Todd Shepherd metal artist. This is a true work of art that took Todd over 40 hours to create. The unique coloring is achieved by propriety processes and methods Todd has developed, there has been no paint used to achieve these unique markings on this piece of original art. Rest assured this is one of a kind and will surly be a family heirloom to be passed down from generation to generation. 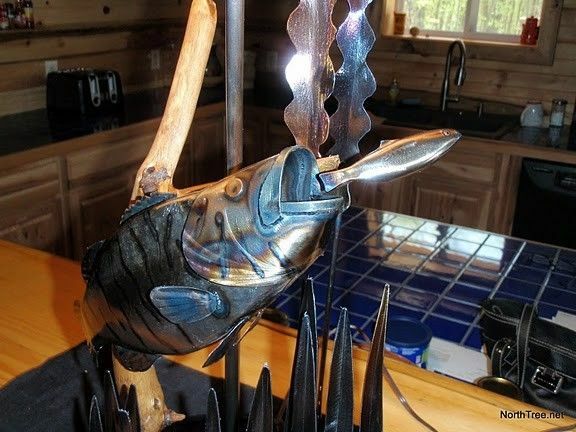 All of the metal work is highly detailed, the reeds,and the Bass chasing minnow show off Todd's imagination and his unique ability to create a truly timeless collectors piece. 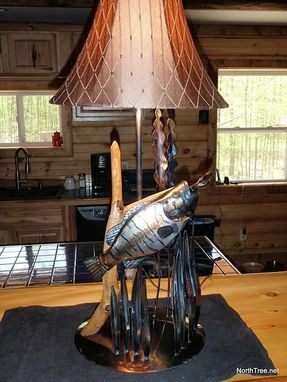 Start your collection now with one of a kind Bass Lamp.